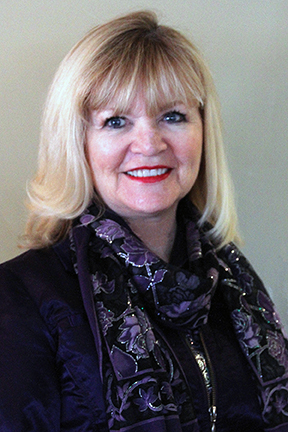 Former MCCC Foundation Board Chair Jeri Bogan Zielinski will receive MCCC’s Distinguished Benefactor Award as part of the college’s annual scholarship fundraiser. 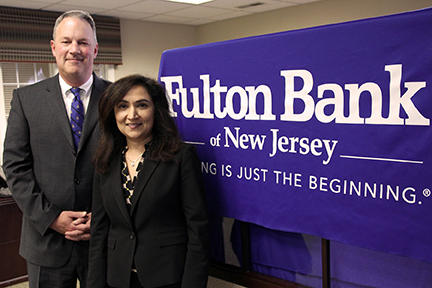 Fulton Bank of New Jersey vice presidents Sean Murray and Savita Lachman will accept MCCC’s Distinguished Corporate Partner Award on behalf of the bank. 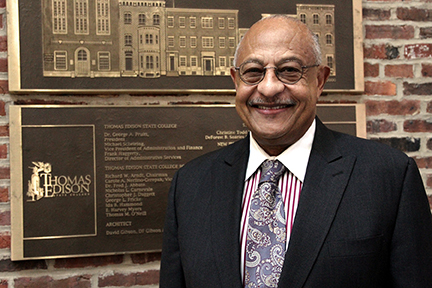 Dr. George Pruitt, president emeritus of Thomas Edison State University, has been named as recipient of MCCC’s Spirit of Education Award. Rashaad Bajwa, president of Domain Computer Services, will receive MCCC’s Spirit of Education Award during the college’s annual gala fundraiser. WEST WINDSOR – A special Mardi Gras themed version of Mercer County Community College’s (MCCC) annual scholarship fundraiser, “Spring Into Student Success,” will feature the recognition of four area community partners who have made substantial contributions to the academic and career success of MCCC students. The 29th annual “Spring Into Student Success” – or this year, “Mercer Gras” – is hosted by the MCCC Foundation to benefit student scholarships. The event will be held on Friday, April 20, from 6 p.m. to 10 p.m. at Cedar Gardens, 661 Highway 33 in Hamilton. All proceeds will support scholarships for MCCC students. Event co-chairs are Nina D. Melker, senior vice president at Berkshire Bank, and Mercer County Freeholder Chair Pasquale “Pat” Colavita Jr.
Jeri Bogan Zielinski, Distinguished Benefactor Award. A proud member of MCCC’s Class of 1969, Bogan Zielinski dedicated most of her professional life to Educational Testing Service, from which she retired last year after almost four decades of service. Bogan Zielinski returned to Mercer in 2013 as a member of the Foundation Board, serving as chair from 2014-2016. While encouraging others to give generously on behalf of MCCC students, Bogan Zielinski has led by example as a major donor and volunteer for fundraising events. Fulton Bank of New Jersey, Distinguished Corporate Partner Award. Fulton Bank of New Jersey is a valued corporate partner of MCCC, giving annually to the college’s scholarship events and providing leadership and representation on the MCCC Foundation Board. Fulton Bank offers a tuition reimbursement program and other career advancement opportunities for its employees, and regularly hires Mercer students and graduates. Since 2013 Fulton Bank has been MCCC’s partner in a special community event, a spring semester American Red Cross blood drive. Dr. George Pruitt, Spirit of Education Award. Pruitt, president emeritus of Thomas Edison State University (TESU), served at the helm of TESU for 35 years. During that time, MCCC and TESU became closely aligned through their common commitment to higher education in the city of Trenton. In recent years, the two institutions have expanded their Trenton footprint – MCCC through the construction of Trenton Hall and the acquisition of several other buildings, and TESU through the opening of George A. Pruitt Hall on the former site of Glen Cairn Arms, which houses the W. Cary Edwards School of Nursing. Last year, Mercer and TESU signed an agreement that provides seamless transfer for MCCC Nursing graduates into TESU’s BSN program. Rashaad Bajwa, Spirit of Education Award. 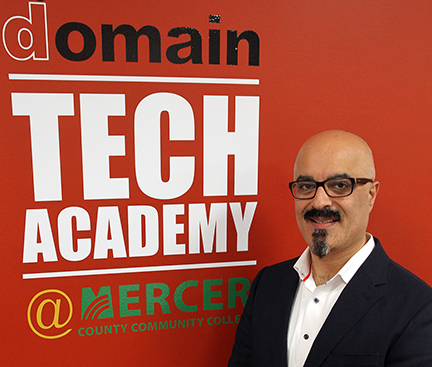 Bajwa, President/CEO of Domain Computer Services (DCS) in Cranbury, N.J., launched a new paradigm for cooperative education between MCCC and the business community last year with the opening of Domain Tech Academy at Mercer. Bajwa, a local entrepreneur whose company delivers proactive IT solutions, created this on-campus center, which offers paid internships to students. Under the guidance of DCS’ IT staff, students learn real world skills and provide them to clients. Three Domain Tech interns have been hired by DCS. Five additional students recently began as IT interns, along with three who are interning in digital marketing. Each year the MCCC Foundation awards hundreds of scholarships to high-achieving and financially-qualified students, including non-traditional students, part-time students and single parents. Many students benefit from endowed or named scholarships established by donors through the Foundation. This year alone, the Foundation will award nearly $550,000 in direct support to MCCC students. This year’s “Mercer Gras” event features a formal dinner prepared by Diamond Catering, including hors d’oeuvres, an open bar, coffee and desserts, live music by the Renaissance Orchestra, and a silent auction. Businesses and community members are invited to participate through corporate sponsorships, silent auction donations, and ticket purchases. For more information, visit www.mccc.edu/siss, or e-mail hoffmanm@mccc.edu or contact Michelle Hoffman at (609) 570-3616.